Be on the lookout for pests now and apply as soon as you spot them. With warmer weather and moist soils, fruit and vegetables should be growing well in the garden. Good growing condition are also the ideal conditions for many pests such as slugs, caterpillars, cutworms, carrot root fly and gooseberry sawfly, all of which if not controlled can ruin our crops very quickly. With the lack of chemical controls and the desire to grow our food as naturally as possible, many people are turning to the use of beneficial nematodes to help control garden pests on fruit and vegetables. Nematodes are microscopic creatures that cause no harm to the plants while searching for their pray. Once found they infect the slug, caterpillar or larvae with bacteria that causes infection and death. They are used to control the pest when it’s present on the plant and are not preventative. To work, the nematodes need the pests to be active on the plant or in the soil, otherwise they will simply die. There are various nematodes available, some such as slug killer are specific to molluscs, where as other are mixed using several different nematodes to help control a wide range of pests. 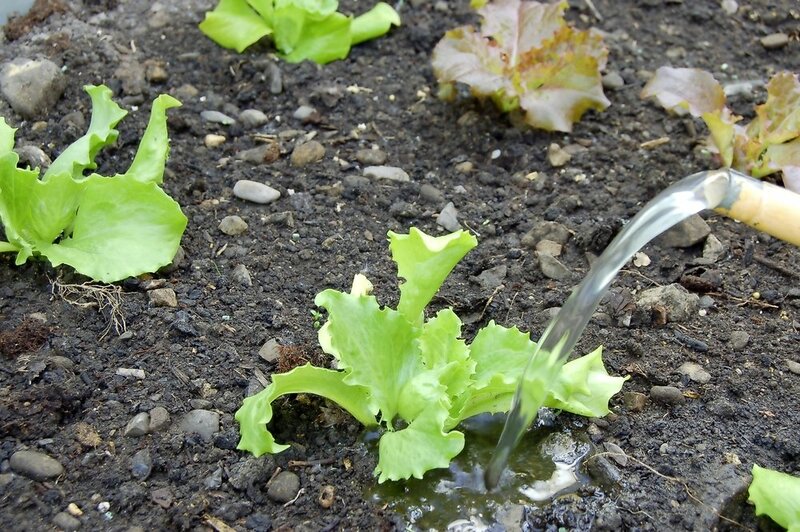 Apply the nematode solution as a drench to moist soil or as a spray as soon as the pest is spotted and repeat through the growing season as directed on the instructions.